Ask about our optional all galvanized framing - Call for pricing! LOCK IN YOUR PRICES TODAY - STEEL MILLS ARE SCHEDULING MULTIPLE PRICE INCREASES!! 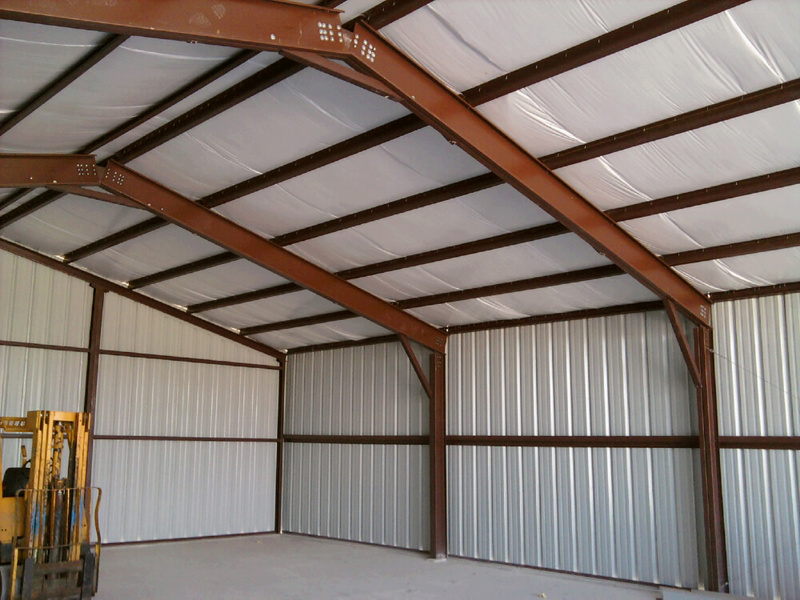 At lower cost the Span- Master can be purchased less the steel roof purlins and wall girts. In their place 2x4 wood wall girts and roof purlins (spaced 2' o.c.) would be provided by your local lumber yard. Call Strat-O-Span for pricing today! 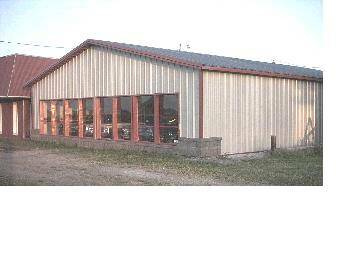 Strat-O-Steel "All Steel" buildings by Strat-O-Span offer a rare combination of quality and economy. 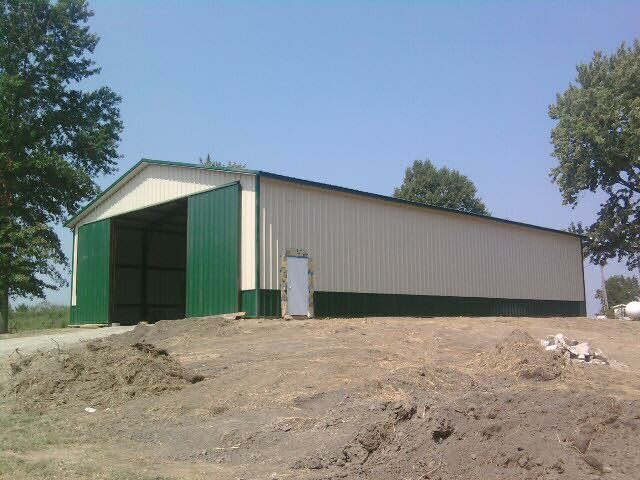 The "Span Master" all steel buildings are designed for "Do-It-Yourself" construction. The frames are a "bolt up" design that can be "tilted" into place--no expensive cranes required! These buildings offer the option of pier only construction for rock floors, straight columns with "down forces only" mean no expensive concrete foundations required! With the high cost of lumber and the reduced man hours--up to 30% less, the all steel "Span-Master" from Strat-O-Span are an attractive alternative to wood frame buildings for commercial, suburban or farm use. Standard 3-12 roof slope mean full usable height throughout the building width. 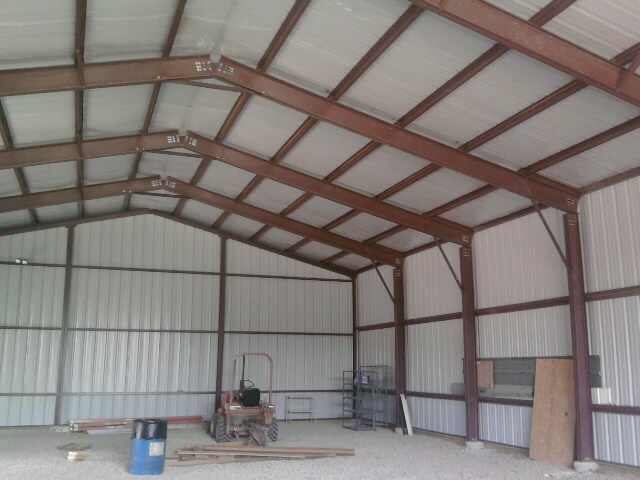 Steel "Z" roof purlins and wall girts fasten quickly with self-tapping screw bolts. Buildings can be shipped anywhere in the lower 48 states for $475! Prices include all framework, fasteners, baked enamel painted walls and roof in a variety of colors. Plans and assembly instructions included, add $575 for engineered stamped plans including concrete floor and foundation. Designed for standard Midwest wind and snow loads. Heavier wind or snow loads available at higher cost. Other roof slopes available at added cost. Add $350 per large door opening; Add $345 per 3' insulated walk door. Ask about our 24x24x8 garage with 16x7 framed opening - $4913!